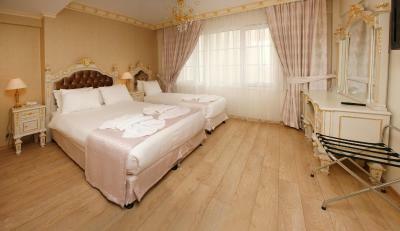 Lock in a great price for Karakoy Port Hotel – rated 8.9 by recent guests! 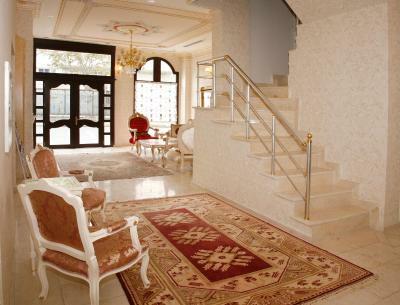 - Staff was super professional & Friendly - Location - View - Clean The price was fair. 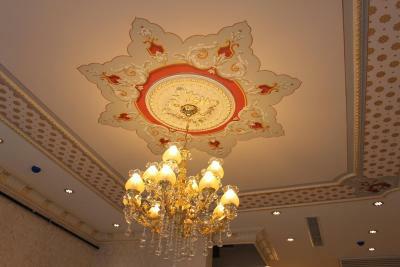 The hotel is great! We come to the hotel for second time! 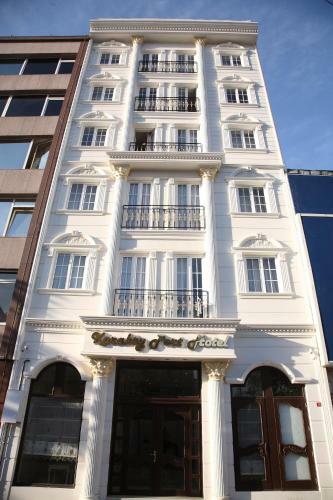 It's situated in one of the best areas - you can go walking to the Spice Bazar or to the main pedestrian street - Istiklal. Lot's of nice cafes, restaurants for typical soups and meals nearby. 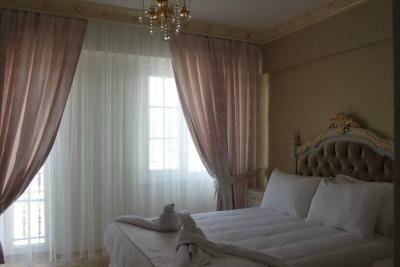 Very clean, comfortable rooms, spacious enough! 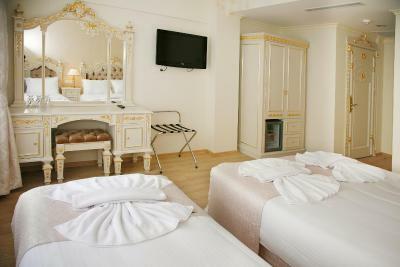 Rooms were cleaned every day, they change the towels/soaps on daily basis too! And the staff....... what can I say - very,really very nice guys, always ready to help and answer all your questions. 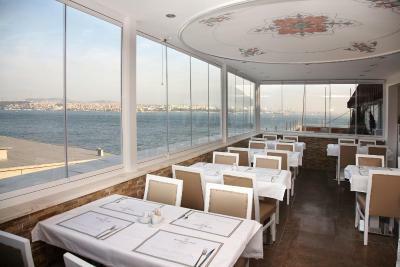 Breakfast is on the last floor and you can see Bosphorus while eating the delicious Turkish food! I recommend it to all! 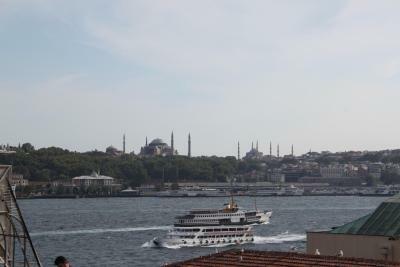 We'd like to stay there again when we go back to Istanbul! Excellent service and kind personnel, would deffinetly go back. First of all the staff are really kind, polite and helpful. 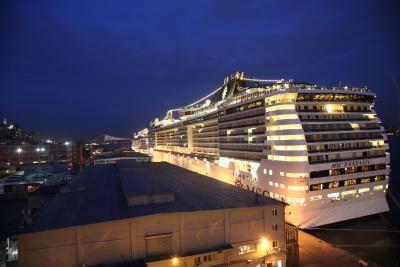 Then the location is perfect, pretty close to tram and ferry. Our room was big and quite. Hotel has a cool view on the top of the hotel. 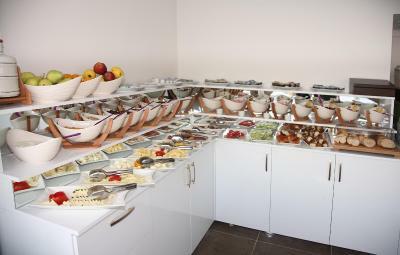 breakfast was good not excellent but served in a place with a very good view of the sea and lovely staff. 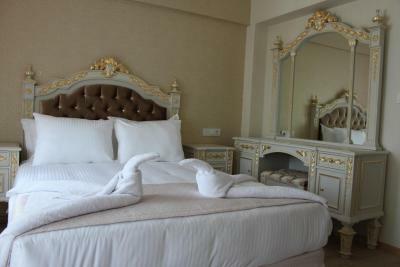 I was really shocked by very valuable and nicely behavior of staff.literally the staff of hotel were friendly and helpful.location was really great.metro bus station is in front of hotel and you are really really close to every place which you look for in temrs of takseem sqaure,Istiklal Estreet Galata tower,eminuno port which is perfect,sultan ahmet and ayasofyeh(15 min by walking) and other places. Special thanks to Hakan for welcoming and briefly explanation about historical asepects and clarifying the root of access to those areas.breakfast was excellent the only matter which has to be considered is providing some kinds of breads since turkey is famous in this regard.And thanks indeed to Burack Sirkan and Ahmet.I do recommend every one to be there and try it.definitely you will be a customer for evere. 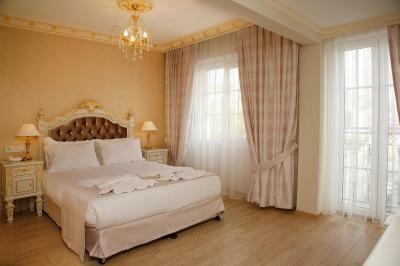 Whole facilities at the hotel was fine comparing with the value of money. 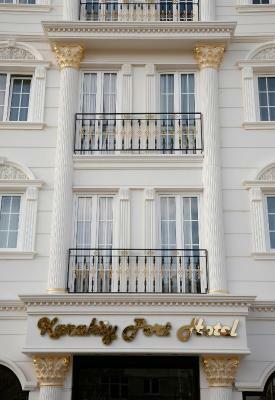 Overlooking the sea, Karakoy Port Hotel has a central location in Tophane district. 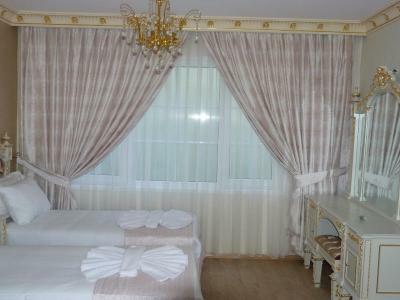 The hotel has a restaurant with a terrace offering panoramic sea views and elegantly decorated luxurious rooms with free WiFi. 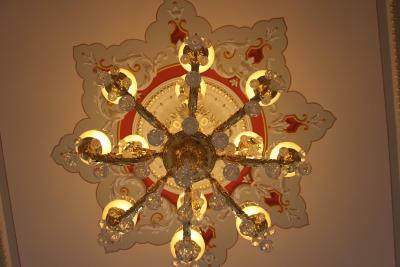 Historic Kilic Ali Pasa Hammam and Istanbul Modern Museum are within a walking distance. 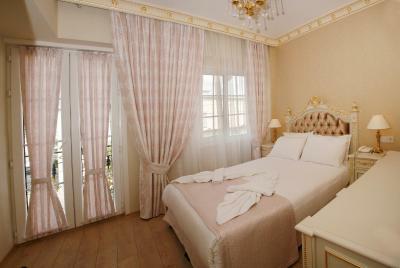 Decorated in soft colors, the rooms of Hotel Karakoy Port are equipped with extra-long beds. 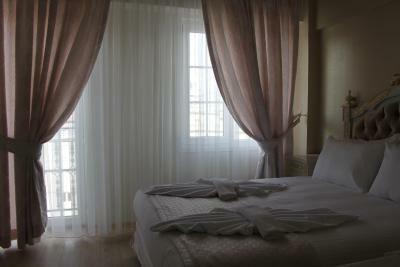 They also include a flat-screen TV with satellite channels, mini-bar and a safe box. The property's reception is available 7/24, and provides room service. Laundry, dry cleaning and ironing services are available upon request at an extra charge. 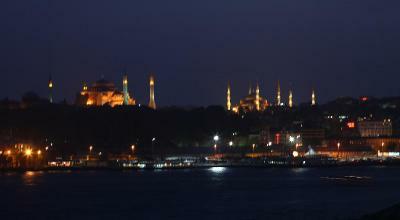 Tophane Tram Stop is just 800 feet away, offering easy access to the historical Sultanahmet district. 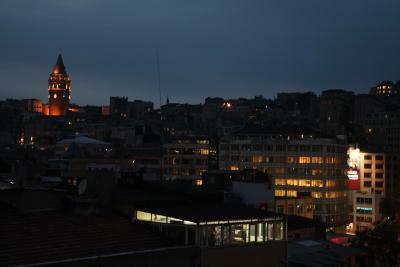 The lively Istiklal Avenue is a 15-minute walk away with many restaurants, bars and shops. Taksim Square is less than 1.2 mi. 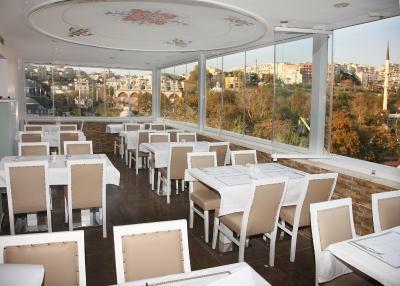 You can also find popular restaurants, which serve traditional desserts, like Güllüoğlu nearby. 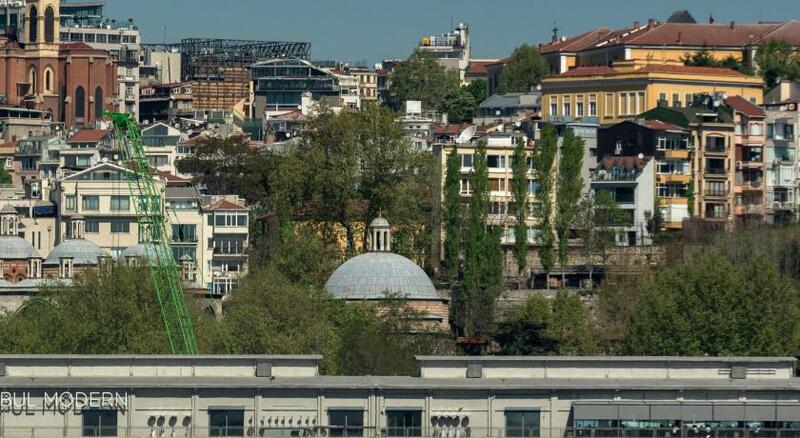 Istanbul Airport is 32 mi away. 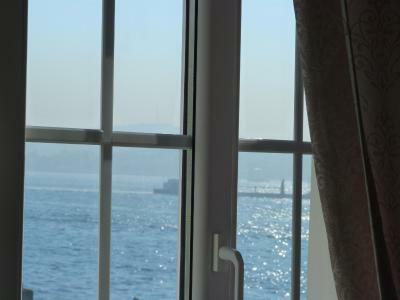 When would you like to stay at Karakoy Port Hotel? 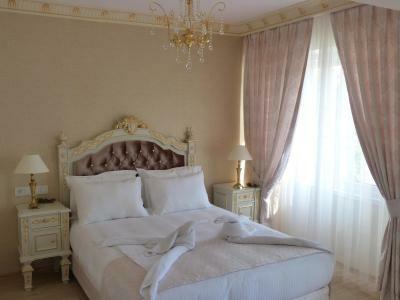 Decorated in classical style, this elegant room includes a flat-screen TV, air conditioning and a bathroom with free toiletries. It offers sea views. 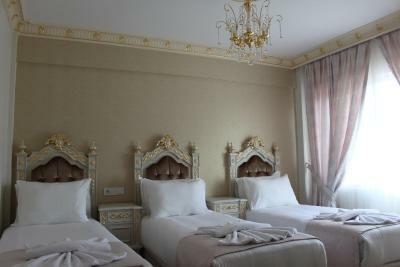 Decorated in classical style, this elegant room includes a flat-screen TV, air conditioning and a bathroom with free toiletries. 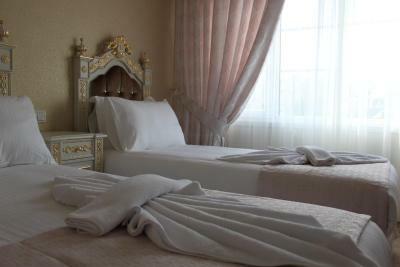 Decorated in classical style, this elegant room includes a flat-screen TV, air conditioning and a bathroom with free toiletries. 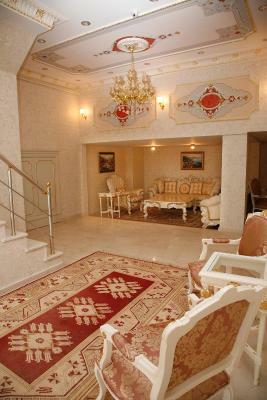 It offers partial sea views. 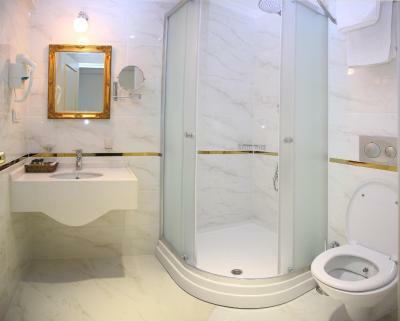 House Rules Karakoy Port Hotel takes special requests – add in the next step! Debit card Karakoy Port Hotel accepts these cards and reserves the right to temporarily hold an amount prior to arrival. 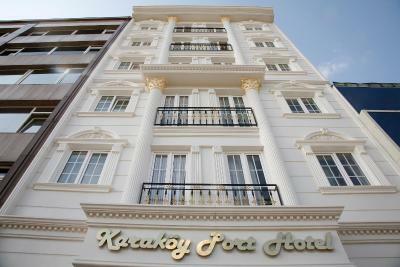 Karakoy Port Hotel accepts these cards and reserves the right to temporarily hold an amount prior to arrival. The hotel has million dollar view of the Bosforus, it is clean and even if there is a costruction site next to it, at night it is quiet. It is very close also to a wonderful pub&cafe area. Breakfast is very good and diverse, courtesy of Mrs. Cornelia, the cook, who was very kind to chat with us and give us visiting advice. 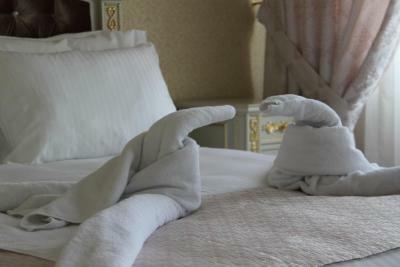 Hotel staff is very helpful. I would definitely return here. 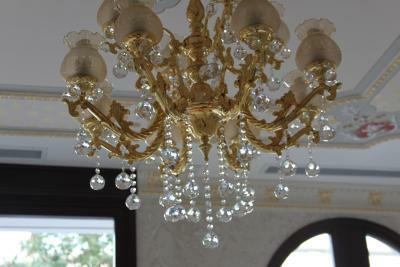 The hotel manager and staff were very welcoming and helping towards added requests! Location was perfect and an amazing view from the breakfast table. Friendliest staff I've come across. Would definitely stay again! The construction near the hotel took place the entire day, even at night. This was an issue because my husband is a light sleeper and found it difficult to go to sleep. The location is excellent. 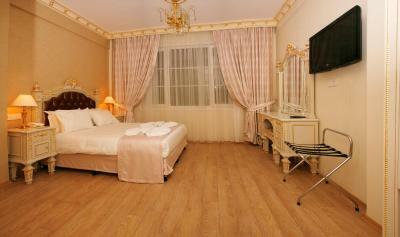 The hotel is very near to cafes and the Tophane tram station. It made our daily commute much easier. The wifi connection was weak. Very kind and helpful staff. 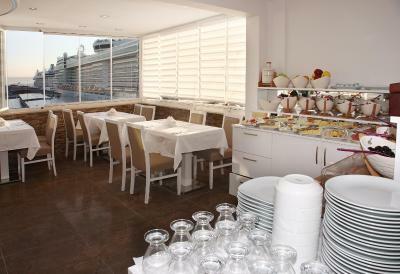 Very beautiful view from the breKfast area and access to the terrace with an eye-catching view. Very good location close to the tophane tram station. There are many nice bars and cafes around. 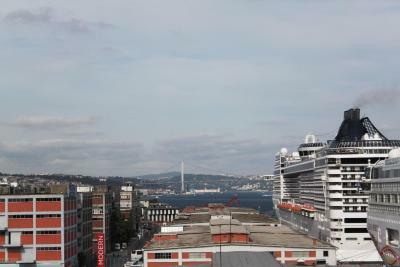 The Bosporus sea is very close. Breakfast does not have many varieties. Hotel is located at a site where construction is taking place. This means there is considerable noise during daytime. Very close to tram station. 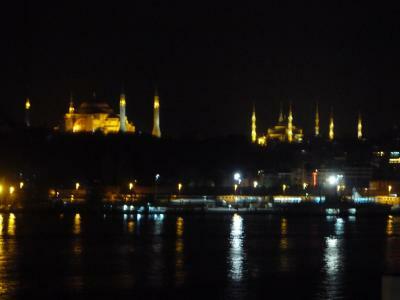 View from restaurant is magnificent. Personnel is friendly and helpful. We were allowed to check in earlier than scheduled and we were offered to have our luggage kept way after check out. Construction going in the neighborhood effecting their business, thats the reason why you can get such great prices with this beautiful hotel. 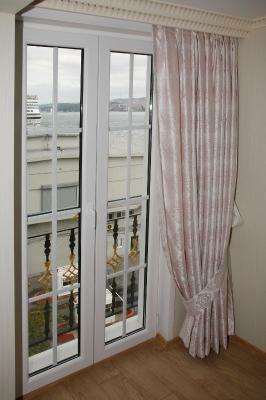 Karakoy Port Hotel is a very nice hotel in a very good location! 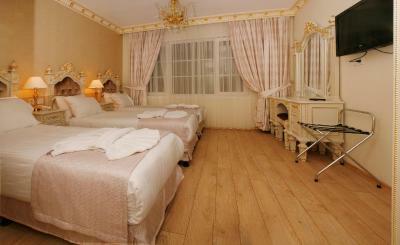 The room was very clean!..But the best part of this hotel was the kidness of the people who work there! 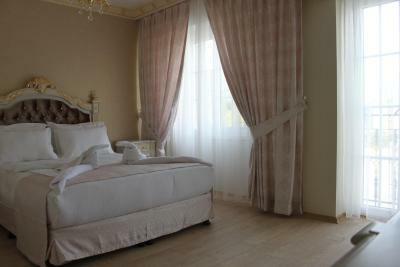 Bourak(in reception) was friendly and very helpfull with us from the day of our arrival! He helped us to have a perfect time in Instabul!